There are American songs that nearly everyone in Russia (and in countries of the former USSR) seems to know, songs like “Summertime”, and “Puttin’ on the Ritz.” But not everybody knows that the composers of these very American-sounding songs had Russian or Ukrainian roots. Some were born in Russia, and some in New York to immigrant parents. Most were Jews. One thing is certain: 20th-century American music would be a mere shadow of itself and somehow less American without the contributions of these Eastern Europeans. First, take Irving Berlin. He was born Israel Baline, probably in Tyumen, Siberia. Berlin had more than 200 hits on the Top 40 charts. He even wrote ”God Bless America”, which, though not the official national anthem, is just as popular or more so. In fact, on September 11, 2001, after the terrorist attacks, it was this song that members of congress began singing on the steps of the U.S. Capitol. Jerome Kern, another American songwriter, said of Berlin, “He is American music.” Some praise for a man born in Siberia! Brothers George and Ira Gershwin were born in New York to parents who had immigrated from the east: whether from Russia, Ukraine, or Lithuania isn’t absolutely clear. 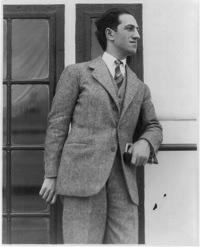 George Gershwin wrote music usually, and Ira lyrics. They teamed up with Dubose Heywood for “Summertime”, one of the most frequently recorded songs of all time. 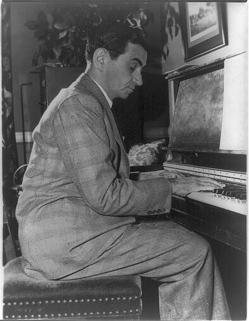 The music, written by George, may even have been inspired by the Ukrainian folk lullaby “Oy Khodyt Son” which Gerswhin heard at New York’s Carnegie Hall in 1929. One of the most famous American musical plays “Fiddler on the Roof” is based on the stories of Shalom Aleichem, who lived and wrote in Ukraine. These are some of the names, but they are not all the names. The influence of these Eastern European composers on American music has been enormous.